McNary thought it was the better team last time. This time the Lady Celts proved it, throttling McMinnville 14-4 in five innings on Tuesday, May 9. The Grizzlies were undefeated in Greater Valley Conference play and hadn’t allowed more than six runs in a game all season. McNary got that in the first inning. Nadia Witt reached on an error to start the bottom of the first and advanced to second on a sacrifice bunt by Alexa Cepeda. Haley Ebner then drove Witt home with a line drive single to right field. After Hannah Carr drew a walk, Emma Kinler then singled to left field to bring home Ebner and give the Lady Celts a quick 2-0 lead. McMinnville decided to make a pitching change, bringing Ashley Rhoads in for starter Payton Hudson. The decision did not pay off, at least not for the Grizzlies. 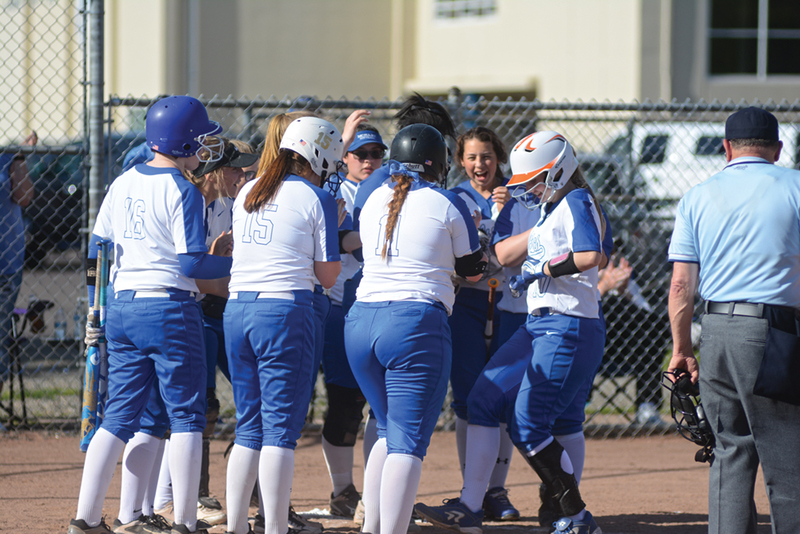 With two outs, McNary freshman Haley Bingenheimer busted the game open, hitting an outside pitch over the left field fence to put the Lady Celts ahead 5-0. Just two pitches later, Faith Danner continued the big inning, hitting a solo home run to center field. McMinnville began to slowly chip away at McNary’s lead in the top of the second, scoring two runs on a home run and double. But with Hudson back in the circle, the Lady Celts added three more runs in the bottom of the second. The Grizzlies threw four different pitchers at McNary and made substitutions every inning in the infield and outfield but none of it mattered as the Celts continued to knock around McMinnville. McNary loaded the bases in the second. After Cepeda scored on a wild pitch, Kinler hit a sacrifice fly to right field to drive in Ebner. Carr then came home on a pop fly single by Duran. The Lady Celts scored four more runs in the third. Witt drove in Danner and Sabella Alfaro with a single to left field. After another pitching change, Carr hit a two-out single to score Witt. Duran then added another single to bring home Carr. Alfaro scored McNary’s final run of the game in the fourth on a ground ball by Ebner. Danner, who pitched all five innings, allowed just one hit in the top of the fifth before finishing off the Grizzlies to earn the win. The Lady Celts improved to 17-4 overall and 12-2 in the GVC. Their final league game is Friday, May 12 at home against Sprague. The state tournament begins Monday, May 22. A conversation among Keizer city councilors about whether to impose a fee on residents to support Keizer parks short-circuited upon liftoff. 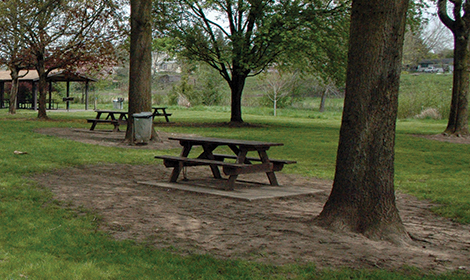 The council hosted a public forum on the topic of parks fees Monday, May 8, and turned to their own discussion of the issue after taking public testimony (See related story Page A11). While the council eventually passed a motion directing city staff to craft an ordinance that would impose the fee, at least three councilors – of the six in attendance – expressed reservations regarding how the city should approach the next steps. The ordinance will include at least the following: a $4 fee per month assessed to both residential and commercial customers with no increases for one year; an $8 cap on future increases; a reporting requirement for the Keizer parks and public works staff; and available discounts for seniors and low-income residents along with the stipulation that no one will have their water cut off due to not paying the fee. This, however, is only the first step in the council’s process. Any ordinance will have to come back before the council with additional opportunities for public input. Even before the discussion began in earnest, Councilor Roland Herrera suggested he was wary of the idea of imposing a fee without a vote. “In most of the conversations I’ve had, (people) support the idea, but they want to have a vote,” Herrera said. Councilor Amy Ryan said her conversations with residences had a different flavor. “My experience was that we had questions about putting it on the ballot, but the majority of people I talked to said they trusted the council,” Ryan said. A vote has two potential consequences, if city staff were ramp up the effort to place an ordinance on the November ballot, it will incur additional costs (about $1 per registered voter according to City Recorder Tracy Davis). Deciding to wait for a 2018 election, in which the city could forego the per-voter expense, defers needed maintenance and repairs for at least another year. Councilor Bruce Anderson said he was uncomfortable with any action given the city’s lack of conversation about how to create greater funding for the Keizer Police Department. He was joined in his concern by Councilor Kim Freeman. “The people I talked to said they love their parks, but they said police come first. I want to have that conversation before we move this forward,” Freeman said. Mayor Cathy Clark countered she did not want the conversation to become an either/or proposition. Police officials have come up with a plan for what they need, but the past year was spent collecting information from residents about the parks because they are “the experts,” she said. “We have good information and we know what our (parks) needs are. In my mind, waiting another year would not be responsible. The safety and maintenance issues are critical,” Clark said. Ryan was the only councilor to voice support for a structured fee increase from the outset. “If we increase incrementally, people can prepare for it,” Ryan said. Councilor Laura Reid, who played her hand close to the vest all night, was most interested in how residents would be billed. Reid asked several questions regarding how the billing would be handled. From a monetary point of view, the cheapest method would be to include a fee as a line item on existing utility bills already issued by the city. Creating an additional bill sent with the current bills would cost an additional $1,500 to $17,600 depending on whether it was annually or monthly. An entirely separate billing would cost a minimum of $9,200 for an annual statement or $111,300 for 12 monthly statements. “Having the separate bill might give us more flexibility to ask for people to increase their contribution,” Reid said. Clark said previous attempts to collect funds in that manner had rapidly diminishing returns and e-payment systems have made it unlikely many residents even open their bills. While the motion to have staff draft an ordinance passed unanimously, Anderson and Freeman reaffirmed their reservations in how it was being handled. “I will support moving forward to draft an (ordinance), but that doesn’t mean I am supportive of the (ordinance),” Anderson said. Freeman said she hoped the council would begin discussing a fee to support the police department sooner rather than later. “All (Chief John Teague) needs is for me to tell him when and he will be ready. We can have that robust discussion quickly,” said City Manager Chris Eppley.